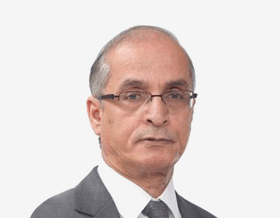 Abdul Rahman Basaddiq is a fellow of the Institute of Chartered Accountants in England & Wales (FCA) and a licensed auditor and consultant in the UAE. He trained and qualified as a chartered accountant with Ernst & Young, London and spent over 25 years with Ernst & Young in the UK and the GCC, 15 of those as an equity partner. During his period at EY, Abdul served as the Managing Partner of their Riyadh and Abu Dhabi offices, in addition to responsibilities as UAE Country partner in charge. During his tenure in Riyadh, he oversaw the development and implementation of the only Saudisation program within the profession in the Kingdom at the time. He also served as an elected member of the firm’s executive committee for some eight years, in addition to serving on the human resources committee for a number of years. Abdul spent over 12 years with a number of Gulf based diversified groups across multiple jurisdictions and sectors including healthcare, global public and private equities, venture capital, real estate investment, development and construction, steel trading and fabrication, in addition to food manufacturing, retail and packaging. He also spent over five years serving on two audit committees, chairing one of them, in addition to oversight responsibilities in the development of audit committees and the related internal audit functions of other entities, which have grown in size and complexity, to comply with the ever increasing governance and other regulatory demands.